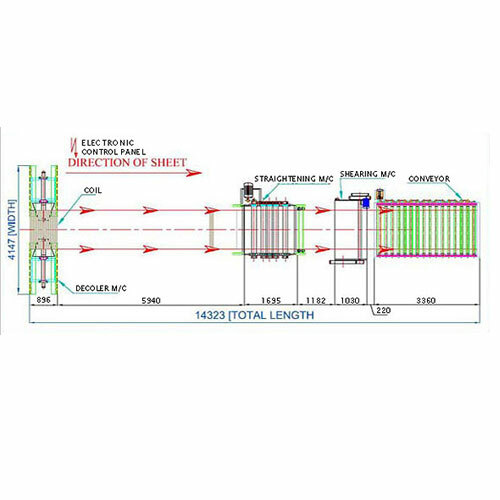 Cut to Length lines is used for uncoiling, straightening, gauging, cross-cutting to length and stacking work. It performs a variety of operational functions including cut sheet leveling, edge trim (if required), cut to length and stack sheets and plates. The cut to length line can make sure of accurate feeding and shearing. It can be widely used in cold or hot rolling carbon steel, tinplate, stainless steel and all the other kinds of metal materials with surface coating. 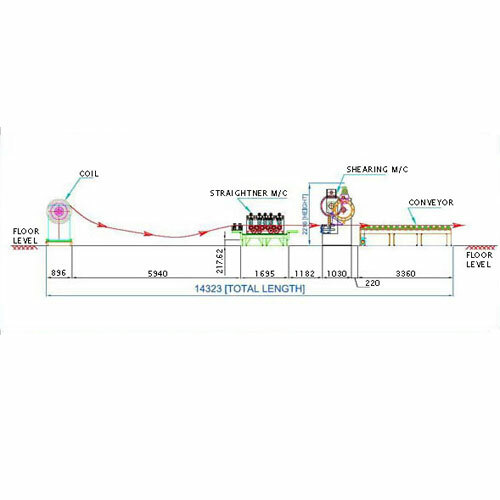 Cut to length line machine is controlled by PLC system or manually as required by the customer. It has PLC controlled single shaft feeder, the information of length, shearing numbers and speed can be input to the HMI. When the needed shearing number is reached the line can stop automatically. The line speed can be adjusted. It has a gauge with high precision, and whole line can work automatically and operate easily thereby producing smooth sheets. Various Components are included in Cut to Length Machines like coil car, decoiler, entry support device, width adjustor device, straightening machine, gauge table, shearing machine, run out table, pneumatic discharge and stacker device, unloading table, pneumatic system, Electrical system with computer PLC program control, Hydraulic system etc. Thickness of the coil varies from 0.20 - 20mm CRC, HR, CRNGO & SS Material. 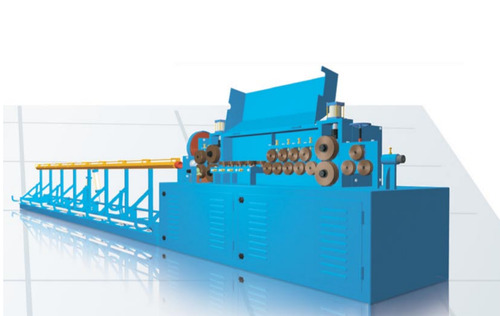 Straightener/Rolls machine are made of Alloy steel material toughened & Machined.